Spotted this motorized bicycle with dog in West Seattle. Stopped, chatted for a while. 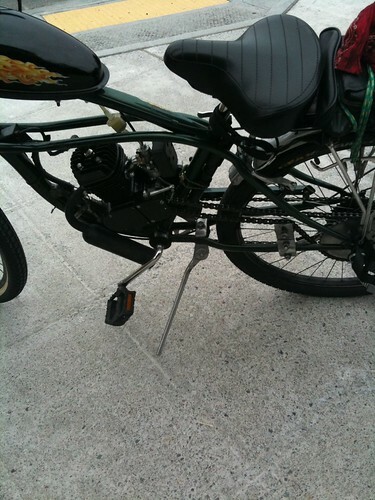 25CC motor, bored to 50 – 100 miles on a 1/2 gal tank. 50 mph top speed.